FEMTO-ST Institute, Computer Science Department (DISC), Optimization Mobility NetworkIng team (OMNI), CNRS, Univ. Bourgogne Franche-Comté, Montbéliard, France. 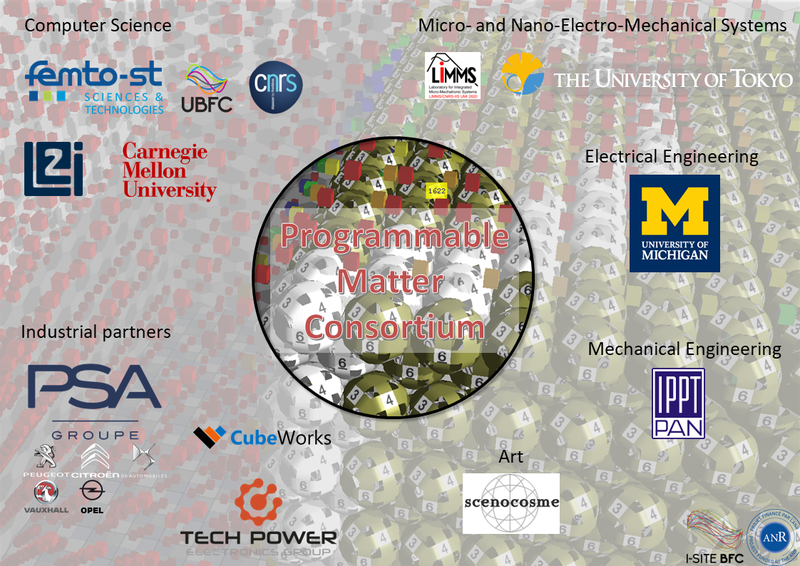 The part of the FEMTO-ST/DISC/OMNI team working on the programmable matter project, is composed of 8 permanent researchers and is leading the programmable matter project. OMNI is conducting research in the conception of the hardware modules composing the programmable matter and on the computer science and networking parts. Regarding the conception of modules we are proposing new geometry to tackle the difficult problem of the module movement and we build bigger size modules called the Blinky Blocks. Concerning the computer science and networking parts, we are investigating new ways of programming the modules, studying distributed algorithms (self-assembly, self-reconfiguration, centrality and synchronization) and new way to communicate between modules using wireless transmission in the TeraHertz bandwidth. The micro-robots composing PM must be able to stick to each other and to move around each other. 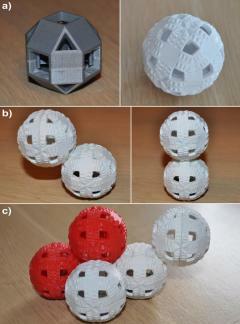 However, designing the shape of these micro-robots is a complex problem as there are numerous constraints to respect. 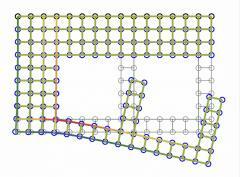 We design different geometry to answer these constraint and to build programmable matter. Coordination of PM poses significant algorithmic issues and open new opportunities in distributed algorithms. We identified and implemented different building blocks, centrality-based leader election, time synchronization and self-reconfiguration. 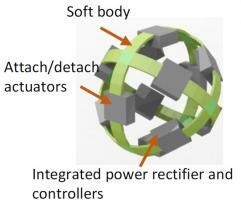 Self-reconfiguration or shape shifting consist in changing the shape made by a modular robot. 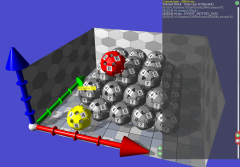 We proposed different distributed algorithms to solve this problem for different kinds of robots (sliding cubes, cylinders, spheres) or different kinds of parameters (with or without map and coordinates, polymer sculpting). We are developing the VisibleSim simulator which is a discrete-event simulator for modular robots. Within VisibleSim, distributed algorithms are really executed in a simulated environment which ensures maximal accuracy of the results. VisibleSim supports a variety of different modular robotic systems of the PM project. Together with TechPower Electronics, we are building the next generation of Blinky Blocks, a modular distributed execution environment composed of centimeter-size blocks that are attached to each other using magnets. Each block can sense through a microphone and an inertial measurement unit and act playing sounds or displaying colors. FEMTO-ST Institute, Automated Systems Department (AS2M), CNRS, Univ. Bourgogne Franche-Comté, Besançon, France. The FEMTO-ST/AS2M/MACS team is an internationally research group in field of Control methodologies development, Micromechatronic systems and microrobotic design and development in Microassembly and Micromanipulation applications. The team aims to propose new technological solutions and methodological tools for the accurate positioning and the fast manipulation at the small scales. The team members, composed of 12 staff and several phd/post-doc per year, have received several international prizes and recognitions. Recently the MACS team interest focuses on the design of 3D innovative micromechatronic systems. Taking advantage of the rapid advancing of additive manufacturing, this research topic aims to design new 3D micromechatronic architectures associating high-resolution actuation and measurement mechanisms within a compliant structure. In the context of B3PM I-SITE project, the team is involved in the design of the basic module of the programmable matter. Even though the geometry is known, the team will carry out optimization to improve this shape and reduce its weight. Once the geometry is fixed, the actuators distribution will be analyzed in order to generate local deformation and maximize the provided force. In the meantime, module’s communication will be analyzed to provide perception capabilities in order to interact with their environment and to move in relationship to each other. Department of Mechanics of Materials, Materials Modeling Group - IPPT-PAN, Warsaw, Poland. The team from IPPT PAN has been working on their Programmable Matter project since 2010. They mainly pursue a mechanical approach to programmable matter, which extends the usual purely-geometric approaches to the problem of reconfiguration. The current line of research includes three main directions, which are planned to be eventually combined into a single mechanical framework for programmable matter. In real-world applications, PM must be able to physically interact with the environment, perform mechanical tasks and be able to operate under load (e.g., the one generated by its own mass in the gravitational field). To this end, modular-robotic ensembles must be able to withstand and produce substantial forces. We propose, in particular, the concept of volumetric actuators – special modular-robotic structures which produce forces proportional to the ensembles’ size. A self-reconfigurable robot is a mechanical system, which can break apart, fall over, collapse or damage an object it is interacting with. It is therefore desirable for the system to be aware of its current mechanical state (internal geometry, inter-modular connection loads or external constraints and forces) and to be able to predict what would be its state after a planned reconfiguration sequence. This constitutes a special mechanical problem to be solved by the distributed system itself and we work on algorithms for addressing it. 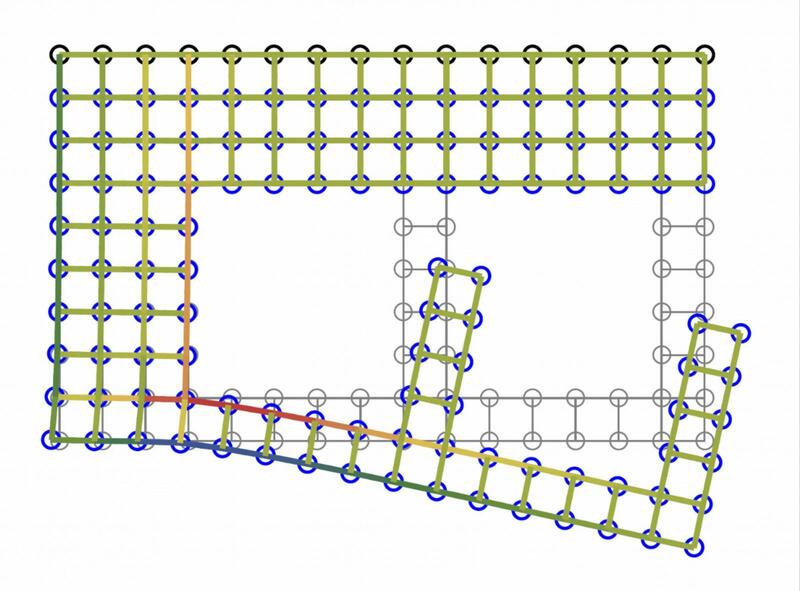 The usual approach to shape shifting only engages surface modules to move at one time, which is a limiting factor to parallelizing reconfiguration and can be extremely time-consuming for large ensembles. Following the idea of Stoy, we propose the paradigm of flow though a porous structure, which assures basic mechanical strength of the structure and allows a volumetric flow of modules. 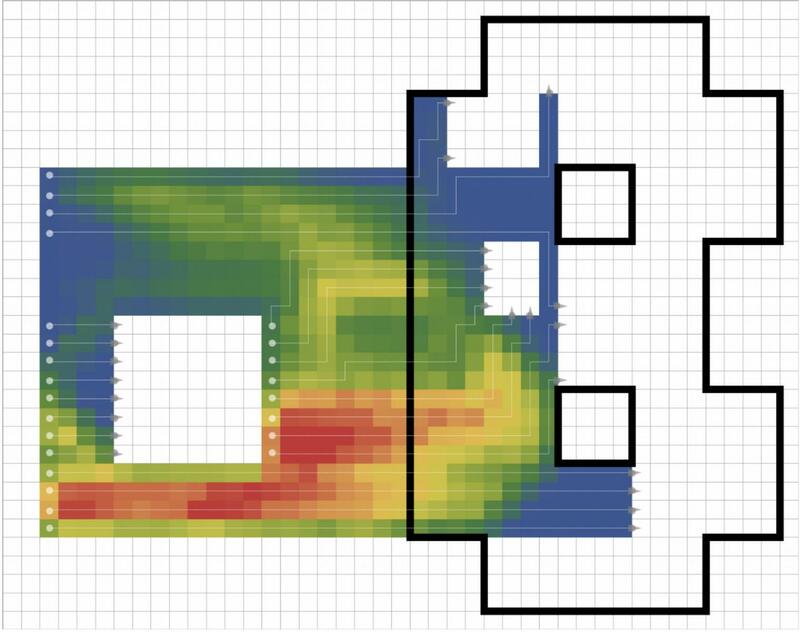 In our approach, we compute the optimal pathways to maximally parallelize the flow. The LE2I/CombNet team conducts research in many fields related to Combinatorics and Networking at an international level. It aims at studying combinatorial structures such as words, permutations, lattices, graphs and to define bijections, and compute many other parameters related to these objects. For the networking topic, the team studies and proposes new architectures and protocols for enhancing the routing, together with the quality of service (QoS) and security in many environments such as sensor networks, vehicular networks, cloud, fog and IoT environments. In the B3PM project, the LE2I team is responsible of the design of distributed algorithms for identifying the modules with self-configuration capabilities. Laboratory for integrated Micro-Mechatronic Systems, CNRS, Mita Laboratory, Tokyo, Japan. Intelligent Semiconductor Microdevices Laboratory of the University of Tokyo has strong competence in intelligent sensors and actuators systems. Dr. Mita, chief researcher, has over 15 years’ experience on autonomous distributed MEMS. Through Dr. Mita, LIMMS has a strong connection with Japanese Academic VLSI (Very Large Scale Integrated Circuit) Fabrication Foundry Center (VDEC, Univ. of Tokyo). In the context of the Programmable Matter project, LIMMS will be responsible for the design and fabrication of the hardware component. 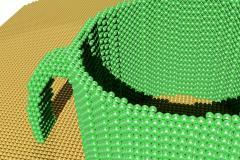 The system will be composed with many identical tiny objects called “catoms”. Due to the integrated MEMS actuators, device can physically attach and detach from their adjacent devices. An integrated LSI controller circuit will decide with which adjacent catom should be attached. Power for controller and actuator will be fed from their environment and transformed to electricity by the integrated rectifier. The goal is to develop a multi-chip integration method for MEMS and LSI chips with flexible substrate to fabricate designed catom. 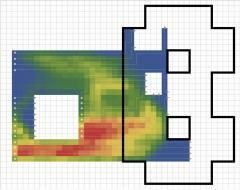 In this research, we adopt a “remote power feeding” scheme. 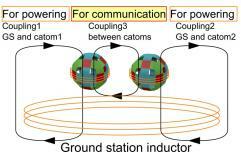 That means that energy transmitter intentionally sends power and each of the catom will rectify them into electricity. Three independent power transfer schemes will be tested. 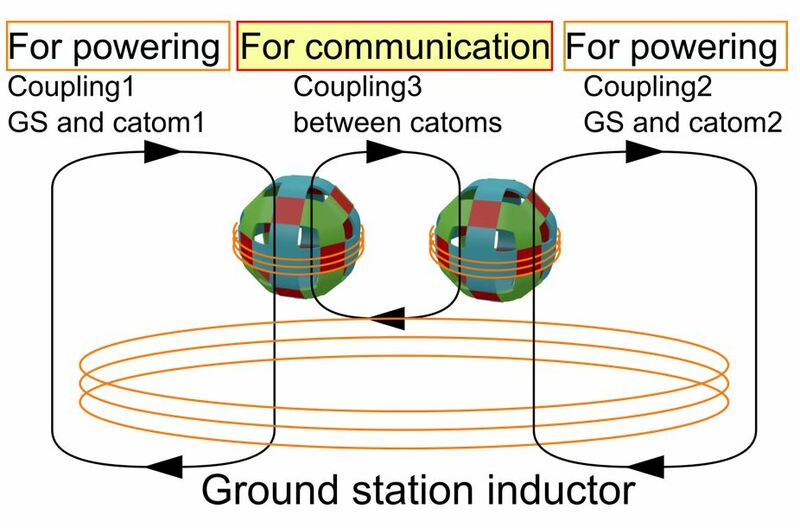 The microactuator therefore has to “make a connection with neighbours and keep it mechanically” or “release the existing connection”. Actuation method will be selected from different candidates. Claytronics, CMU School of Computer Science, Carnegie Mellon University, Pittsburgh, PA, United States. 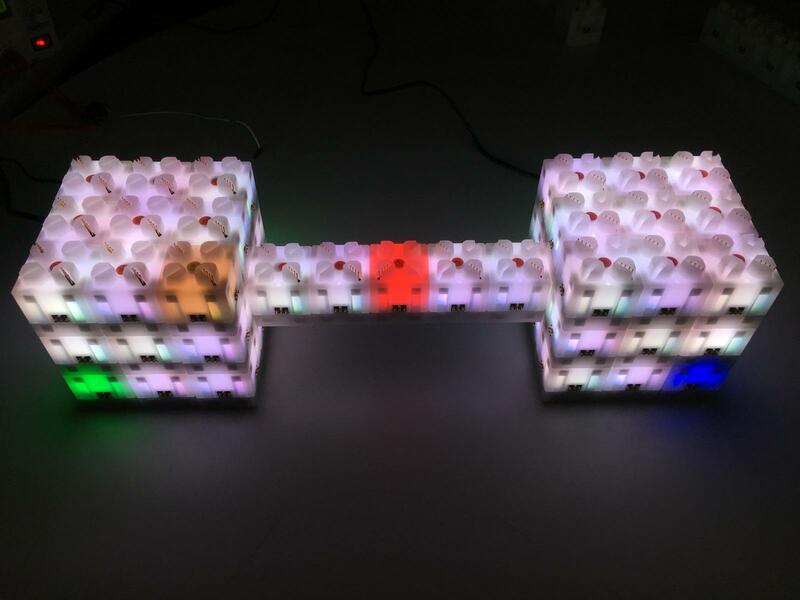 Carnegie Mellon University's Claytronics project is a precursor of our Programmable Matter project. It combines modular robotics, systems nanotechnology and computer science to create the dynamic, 3-Dimensional display of electronic information known as claytronics. Its goal to give tangible, interactive forms to information so that a user's senses will experience digital environments as though they are indistinguishable from reality. Development of this powerful form of information display represents a partnership between the School of Computer Sciences of Carnegie Mellon University, Intel Corporation at its Pittsburgh Laboratory and FEMTO-ST Institute. The artistic process and approach of Scenocosme consist in creating singular and invisible hybridizations between physical and natural elements and technology. As they work on natural and sensitive surfaces, they think that a collaboration with the researchers on this project could extend their reflection on other possible interactive matters. They would like to explore the flexibility of the Blinky Blocks in order to generate several qualities of interactions. They are interested to develop new interactive artworks which explore the quality of real and virtual touch, and its various significances. Most of their artworks explores their relationships with natural elements by creating sonorous or visual languages and feedbacks in order to question spectators of their relationships with their contemporary environment. They would like to use the technology of the programmable matter in order to design new artworks and new ways of interaction with the public. The concept of electronic clay could cross their artistic approach. In most of their artworks, they explore the symbolic surface of the skin, it porosity and it various interactions with the environment. In their work, they suggest links between natural elements and objects with virtual sounds, lights or images. When they concept their artworks, the technology is hidden, it disappears in order to enhance sensory relations with various elements. They will be interested in exploring possibilities of hybridizations between this programmable matter and other elements in order to extend possibilities and textures of this material, to discover several qualities of artificial and sensitive skins. Innovation plays a vital role in PSA PEUGEOT CITROËN’s growth policy and means being able to quickly bring to market a wide range of products that meet customer requirements in terms of quality and safety while respecting the environment. One of the objective of its Scientific Department is to animate research on topics such as nanotechnologies, mechanical and material innovation, ensuring the acquisition and the control of scientific knowledge required for its activities, to explore breakthrough technologies that could have a future in the automotive product and develop methodologies with high-level scientific content to contribute to the future development of innovative products. The aim of this project for PSA is the development MEMs technology that will allow to their designers to get real time tools for modifying rapidly prototype with simple CAD modification. It would reduce the time of vehicle design and would give them a competitive advance. Furthermore, the MEMS technology could find applications in automotive industry where real time answers are necessary to manage behavior. Comfort and Aerodynamic are two examples. During the first step of the project, PSA’s engineer Stéphane Delalande has participated to the conception of the MEM unit cell. 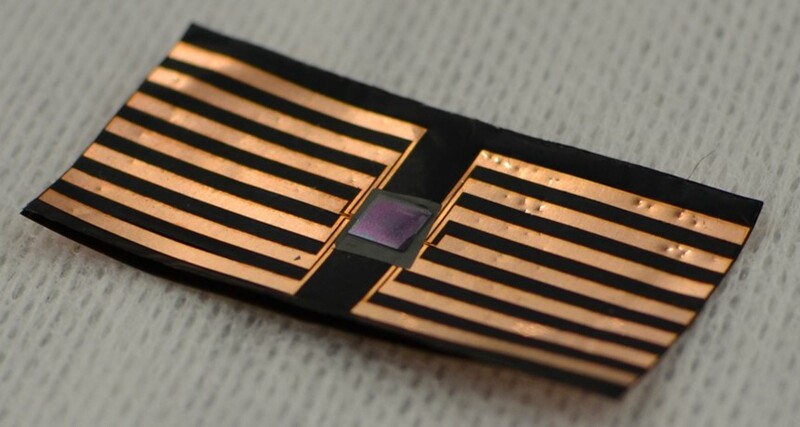 His skills in material science has allowed to focalize, in collaboration with FEMTO-ST, on a design compatible with collaborative motions of the MEMs. They are jointly preparing a patent on the design of the MEMs. Few publications were realized on the topics. As mentioned above, the potential for applications is real. However, we are still far such real applications. Once the proof of concept has been realized on at least two elements, the next and not least difficult step, should be to develop the technology necessary to launch its mass production. Transformers, inductors, chokes, windings, power converters, all those are crucial electrical components, which can assure your company a strategic advantage. Comprising of established technology companies, the Techpower Electronic Group is an innovative-driven collaboration and offers you the highest quality electronic components and industrial products. By combining the skills of strong companies Tech Power Electronics became a leader within the industry with extensive technology, development and production capabilities. Tech Power Electronics France is the biggest company in Tech Power Electronics Group, the speciality of TPE France is the components and applications for low power electronics ( transformers, inductors, low power converters (<300W) and propose standards products and customized products, all the products are made in the group wound components as well as PCB assemblies especially for power converters (AC/DC, DC/DC, Led drivers, Battery chargers, etc..). Tech Power Electronics France then has an important design center dedicated to develop inductive components as well as power converters and power electronic applications. Industrialization of the products is done in very close collaboration with design by our process engineering team to optimize process, production and costs. Main markets for Tech Power France are Aeronautics (with EN9100 certification), railways for infrastructure and industrial. To develop relationships with other companies or organisms and also to elevate every employee skills Tech Power Electronics created an internal institute called “OPEN INSTITUTE” to work on programs which are not necessarily asked by customer but interesting for the future of the company in term of technology, process or environment. Today 35% of the total revenue of Tech power electronics France is done with products that come the technology acquired during an Open Institute program. TechPower Electronics is a high-technology PME installed near Lons-le-Saunier, France. Their interest in the PM project lies in the power management and optimization. 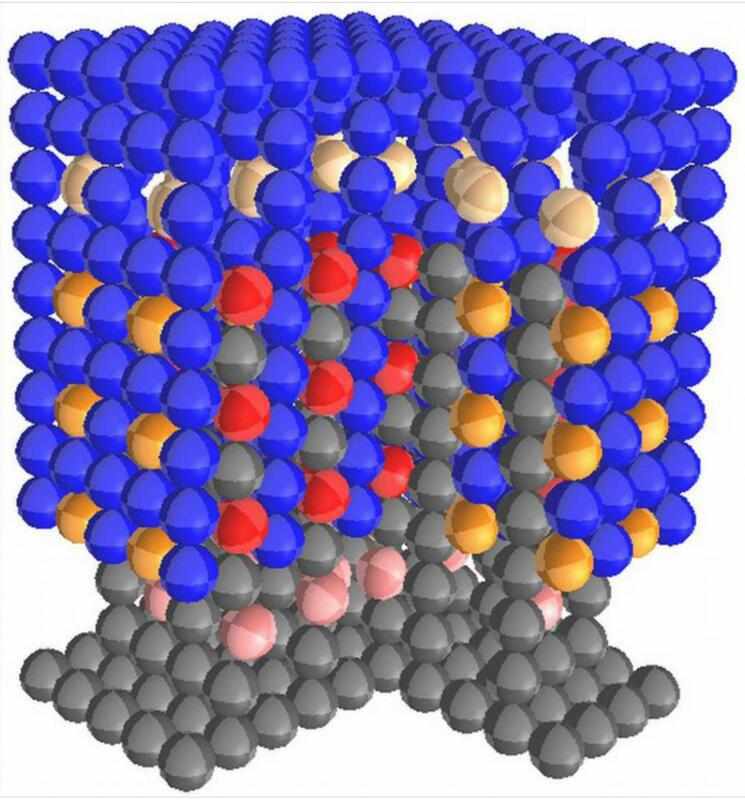 They design a new way for super capacitor to be charged and discharged in an optimal way. Moore's Law continues to push semiconductor manufacturing capabilities forward at an exponential pace. Integrated circuits, and systems built using them, are at the heart of the enduring micro- and nanoelectronics revolution. Circuit design advances enable research in key areas of societal interest, including health care, the environment, and energy. The Michigan Integrated Circuits Laboratory (MICL) brings together researchers with expertise in a range of circuit and system design issues, with particular emphasis on building pioneering demonstration systems in exciting application areas. MICL faculty in Electrical and Computer Engineering at Michigan are investigating very-large scale integrated (VLSI) digital circuits, analog and mixed-signal circuits, wireless/radio-frequency (RF) circuits, as well as sensing systems built out of these components. Supplementing this fundamental circuit design research, they participate in numerous major research centers, which often have a large system-building (testbed) component. Participation in these research centers, funded by NSF, NIST, DARPA, and the Army among others, allows MICL faculty to interact with application researchers as well as experts in other engineering domains. Applications of particular focus include implantable medical devices, as well as energy harvesting based systems offering perpetual operation. CubeWorks was founded in 2013 to make next-generation millimeter-scale computing available today. The company's origins come from the Michigan Micro Mote (M3) initiative, a project from the University of Michigan seeking to push the frontiers of computing.